Where has all the brand personality gone? Call me old and grumpy, but there’s an emerging trend in brand identity design that has got my goat – the growing popularity of simple, type only brand marks. As a branding agency that breathes, eats and sleeps brand identity, I’ve noticed a growing number of rebrands where an albeit dated brand mark is replaced by a simple, clean piece of type. Don’t get me wrong, I love a simple piece of clean type – especially when crafted beautifully – but not when it comes at the cost of engaging and communicating a differentiated brand proposition. We spend every waking moment helping our clients to discover, define and communicate what it is that makes them wonderfully unique and incredibly important to the customers and clients. And your organization’s brand mark is the single most important brand tool to communicate that message. This is why we spend so many hours inspiring, exploring, creating and crafting a unique visual mark to represent all that is different and special about a business or organization. To give away those critical brand communication assets for the sake of simplicity seems to go against everything I’ve learned in my 25 years of brand making. I spotted this rebrand of GetYourGuide and it struck me as a prime example of this disconcerting trend. GetYourGuide is an online booking platform that boasts; “skip-the-line tickets to the world’s most iconic attractions, walking tours by top local experts, immersive food and beverage tours, cooking and craft classes, bucket-list experiences and niche offerings you won’t find anywhere else”. 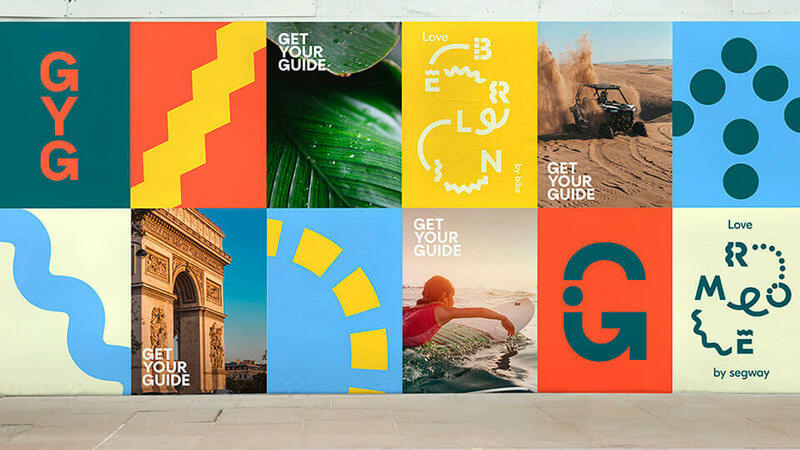 GetYourGuide has offices in 14 other countries around the world and has sold more than 15 million bookings since it launched. Talk about a great brand with a vibrant and unique story to tell. Yet their recent rebrand went from slightly flavoured (brand mark on the left) to completely vanilla (new brand mark on the right). For those obsessed with brand visual language like I am you might spot the G letter-forms have been customised to turn them into arrows, but for most punters that subtlety would be lost. The result for me is a brand mark devoid of any of the visual cues or brand personality it should be communicating to the market about the business, it’s culture and all the brilliant and amazing experiences it brings to the world. Upon the further exploration we do, because we’re far more interested than your average Joe, I discovered a layer of secondary visual language that is much more on brand. At this secondary level, the typography becomes vibrant and active and the colour palette starts to sing. As designers of brands ourselves I’m always reluctant to disparage another agencies work. This piece of design was selected as it was the most recent in a growing list I’d noticed, but also as the brand design work has been done, and done well, but the way in which it is applied in its primary expressions is, unfortunately, its most bland. As an owner or manager of a brand I implore you to not be seduced by this trend of simplicity. When it comes to communicating your unique brand value proposition and personality through the design of your brand mark, less isn’t always more – sometimes less is just plain, old less.